Hello Everyone! 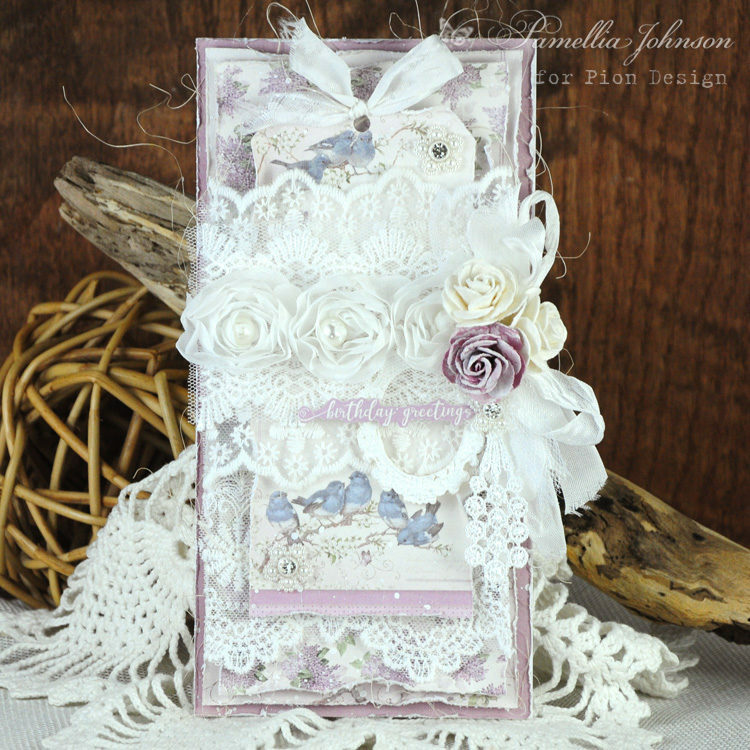 Today I am sharing a frilly card featuring the gorgeous Pion Design collection “New Beginnings”. This may be one of the all time favourite collections! 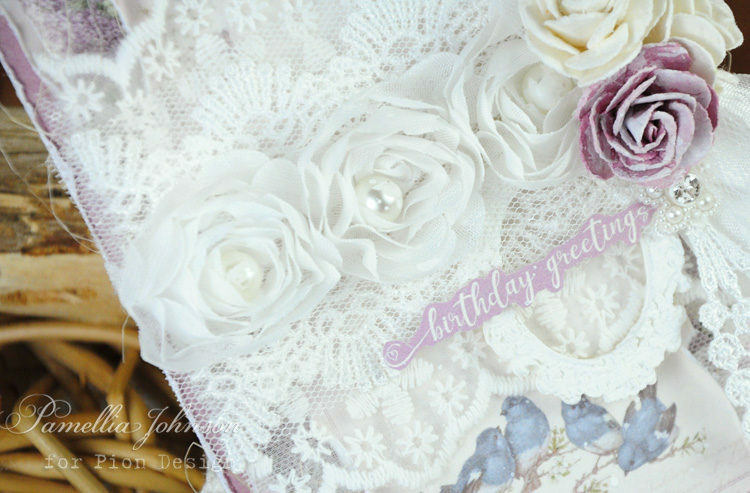 There are so many beautiful images, colours and designs to choose from that creating a card isn’t just easy, it’s a complete joy! Don’t miss out! I have chosen the Four Seasons of Fairies Summer Peonies for my card today and loving Peonies I also handmade the flowers to go with the paper. Jeg ønsker alle en flott dag. This is so sooo beautiful. This new collection is just absolut amazing and the colors simply adorable and it all just scream Spring and Summer all over it. Very very beautiful, I can´t wait to get my hands on it too, and sure hope the stores will have it soon. 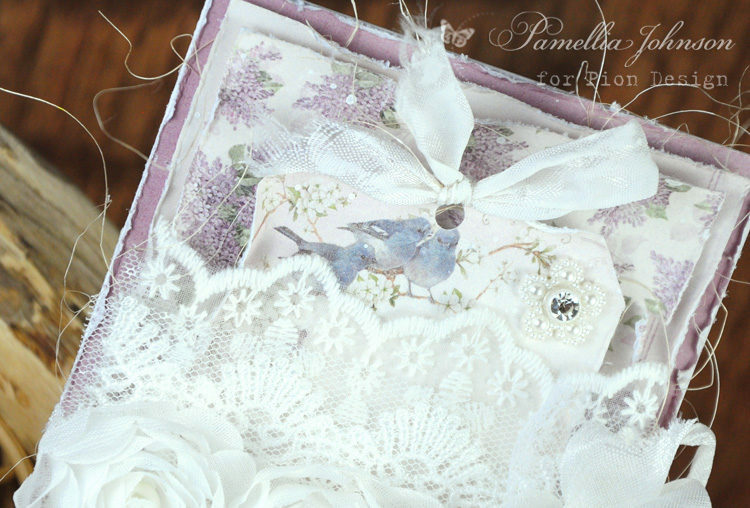 I decided to make a DL card for a change and also a more elegant design rather than my normal shabbychic style. The blues are my favourite colour, so I kept this simple and wanted the elegant Swirls of the paper shine through, backed with elegant stripes. Hope you like it. 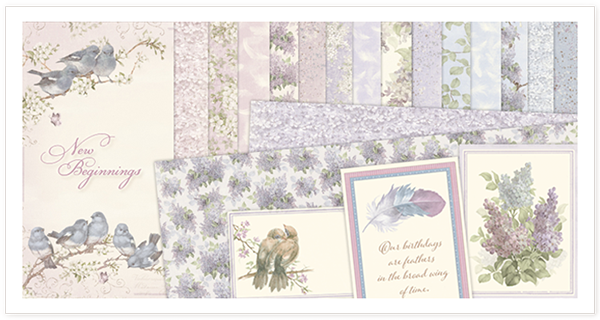 Pion Design presents New Beginnings, a limited collection that will let your dreams fly. The magical designs inspired by eggshells, lilacs, birds and feathers will offer that invaluable soft touch to your crafting! 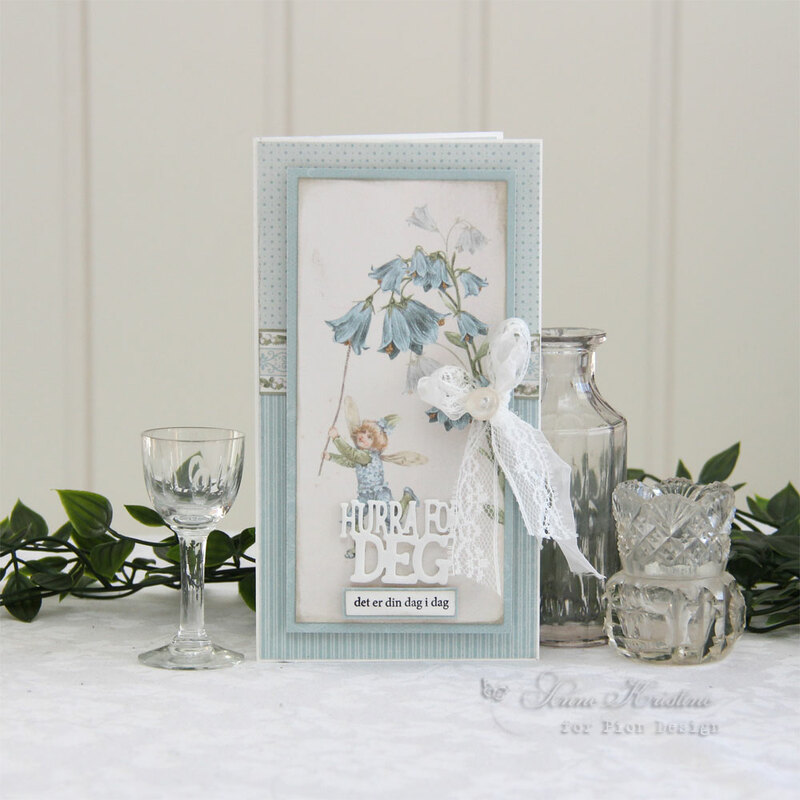 A Birthday card from the adorable collection Four Seasons of Fairies. Hello Everyone! 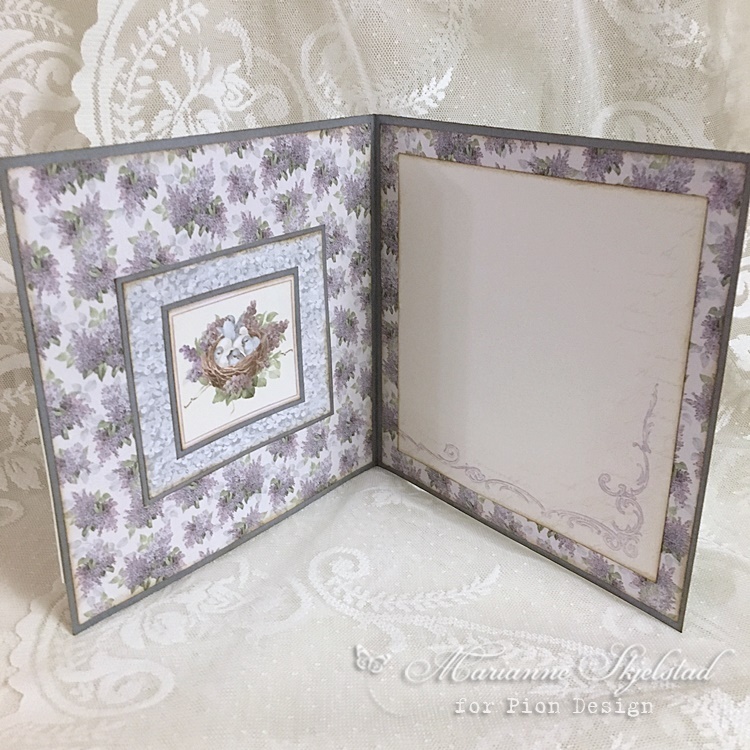 Today I am sharing this magical card featuring the lovely purple and yellow papers from the Pion Design collection “Four Seasons of Fairies”. Such a wonderful image of this fairy in the tulips, I just adore it! 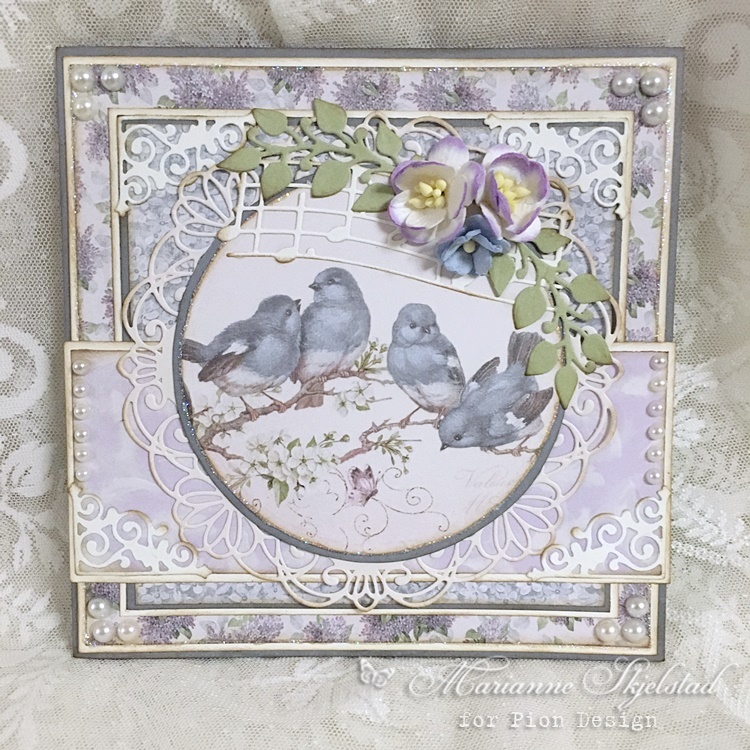 Hi, It’s Cathrine here to show you my latest card made of gorgeous Pion Design papers. I have been using the new collection “Four Seasons og Fairies”. as soon as I opened this I knew it was your work !